The Peabody Conservatory offers a program of studies in organ at both graduate and undergraduate level. Peabody organ students and graduates have won many prestigious competitions and awards and hold distinguished positions in churches and schools of music. In 1998, Peabody installed a magnificent new Holtkamp organ which was custom built for the Conservatory’s historic Griswold Hall. Griswold Hall, with its Renaissance Revival architecture, is one of the most elegant spaces in the original conservatory building. Specialized areas of instruction, such as Keyboard Ornamentation, Continuo Performance, Organ Literature, and Church Music, provide students with the breadth and depth of study necessary to ensure a successful career as a professional organist. The Organ Department is enriched by association with a thriving Early Music program and a strong tradition in choral performance and composition. 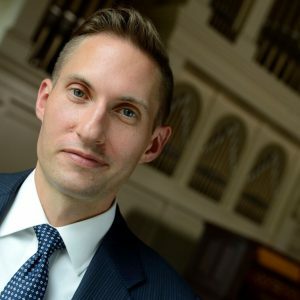 Daniel Aune has been the director of music and organist at Christ Lutheran Church in Baltimore, since 2011. At Christ Church he leads the choral and instrumental programs, as well as the Hafenmusik: Music by the Harbor concert series. Aune holds the Doctor of Musical Arts degree in organ performance from the Eastman School of Music. John Walker is national president of the American Guild of Organists. 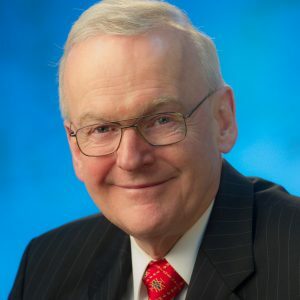 Following distinguished tenures at the Riverside Church in the city of New York and Shadyside Presbyterian Church in Pittsburgh, he is minister of music emeritus at Brown Memorial Presbyterian Church in Baltimore.